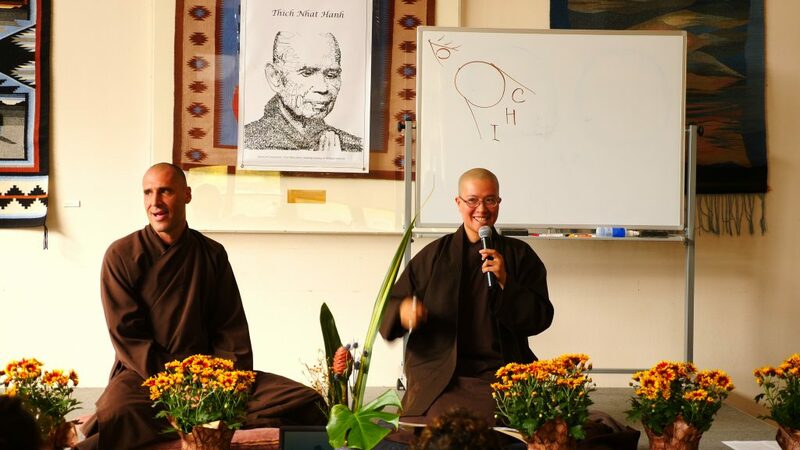 learn how you can nurture Earth Holding work in your sangha, join an existing project, or create your own project–all within the supportive and linked environment of our spiritual community. Why a More Mindful Way Forward? Even so, we humbly realize the aspiration to hold and protect Mother Earth belongs to all of us. So…. 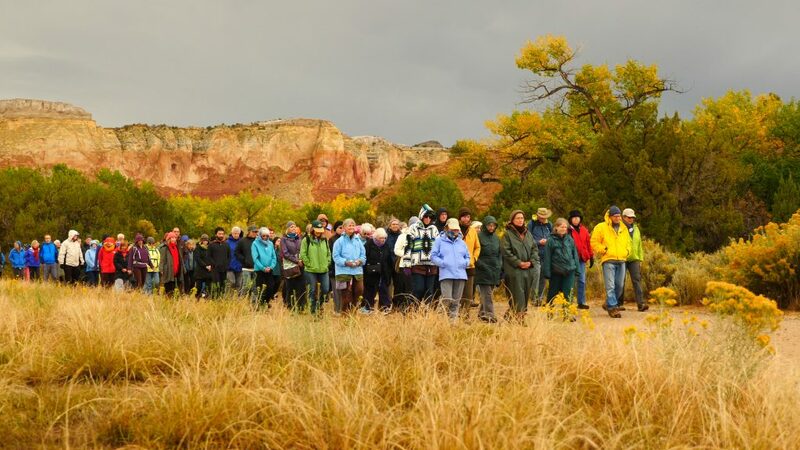 Over the past many months, the Earth Holder Care Taking Council has developed a “Mindful Way Forward Action Plan” for growing and strengthening the community, learning together, and practicing mindful-based climate justice work. The plan includes many fresh ways for Earth Holders like you to connect, get involved, learn, and become happier and more effective in caring for our living planet at the local, regional and national level. Now we’re a distributed network. 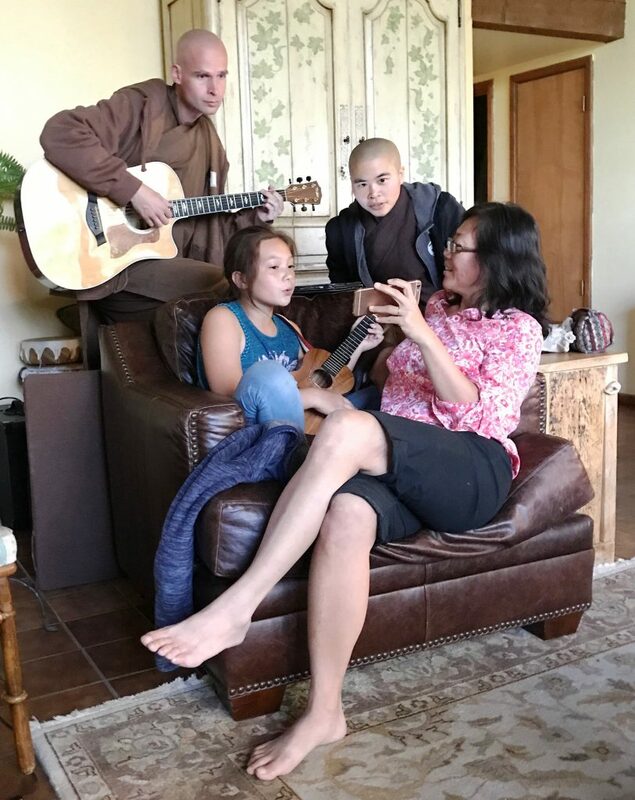 What began in 2015 as the Earth Holder Sangha, an affinity group in the Plum Village Tradition, has grown up in 2019 to be the Earth Holder Community–not a centralized organization but a distributed leadership network of individual and sangha initiatives throughout North America and beyond. Participation is open. Earth Holders are now connected through a central digital hub so we can communicate, share resources, and learn from one another. Former “members” and “ambassadors” have merged into one group and today everyone who is aligned with Earth Holder core mission and values is part of the Earth Holder Community. Collective Implementation. 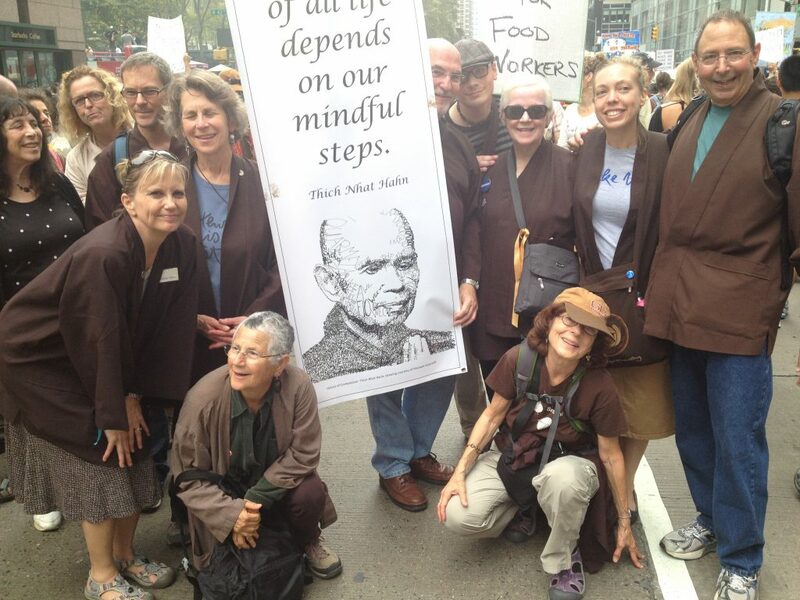 Together, we will put into effect the Mindful Way Forward Action Plan–an ambitious road map for protecting each other, all beings and the Earth through joyful, compassionate, non-violent and effective action. You’ll find the action plan is full of suggestions for how to be with and what to do about planetary challenges. This website is loaded with support materials, including: healing Earth practices and practical strategies for mindful engagement. Even so, we know we’re just scratching the surface so we are eager for you to share your ideas! We Inter-are. Personal well-being is planetary well-being. Individual transformation is collective transformation. Happy advocates make a happy distributive network. 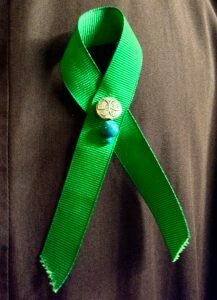 The Earth Holder Community is here to support you; are you ready to support the Earth Holder Community? Click here to learn about, join or start an action team.